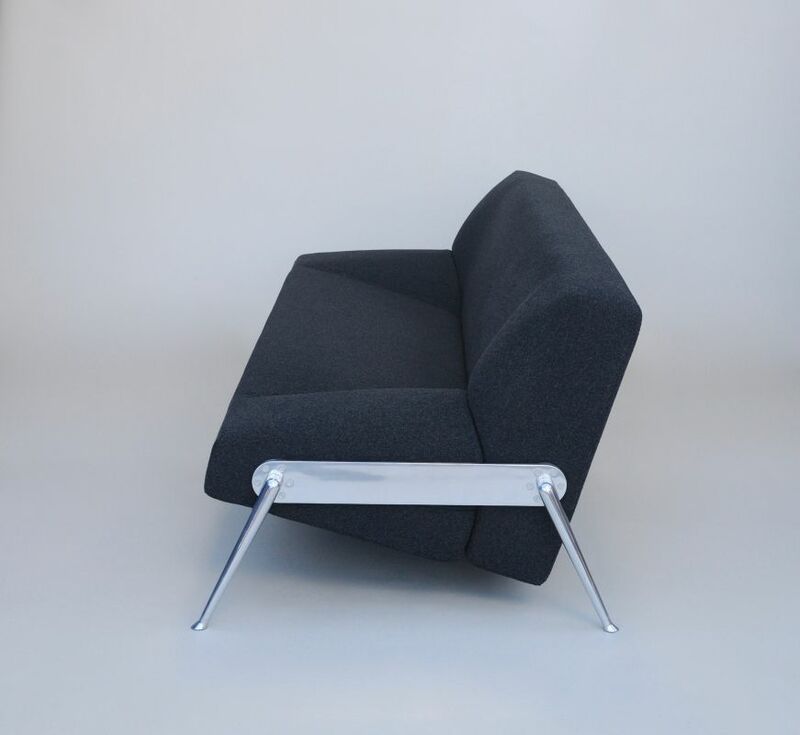 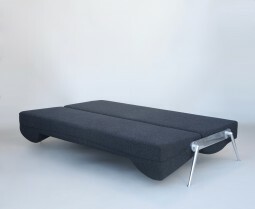 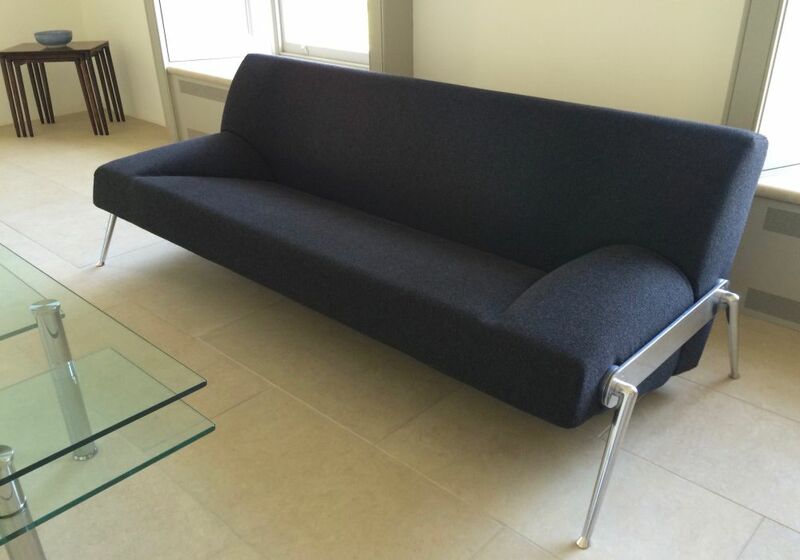 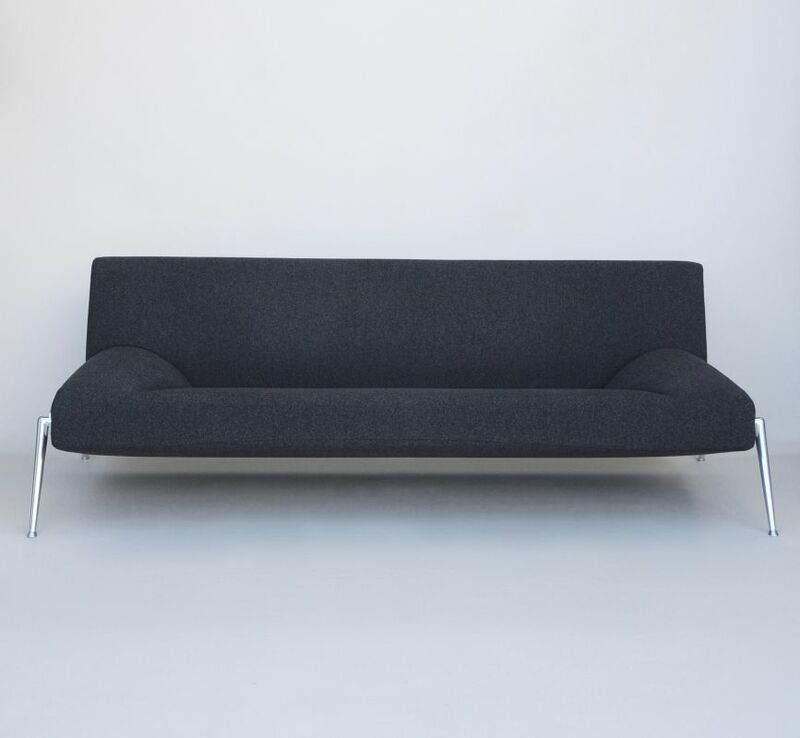 This very stylish sofa was designed by Professor Stefan Heiliger and made in Germany by Interprofil in the 1990s. 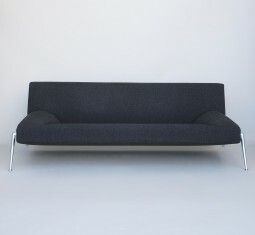 Stefan Heiliger designed the Sprinter Mark 1 for Mercedes and many pieces for furniture companies across Europe. The sofa has very simple clean lines, but is exquisit in its engineering. 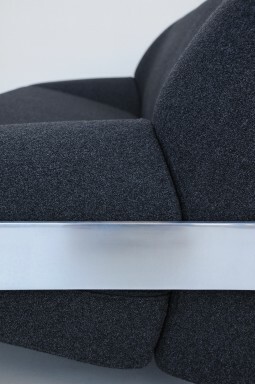 It is covered in a charcoal grey woven wool like fabric, that is soft and hard wearing. 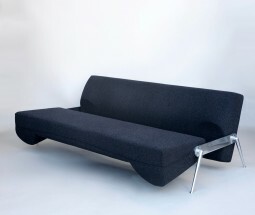 The sofa stands on sturdy tapering stainless steel legs. 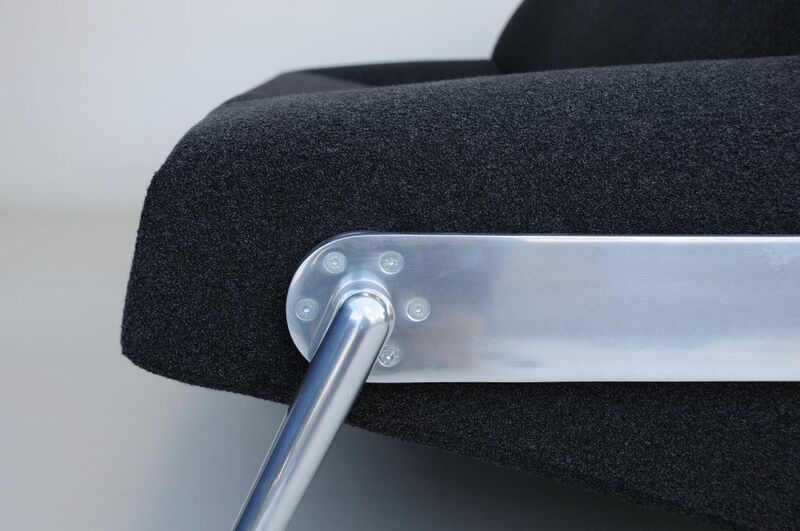 By lifting the seat over and pulling the back forward a perfectly stable bed is formed. 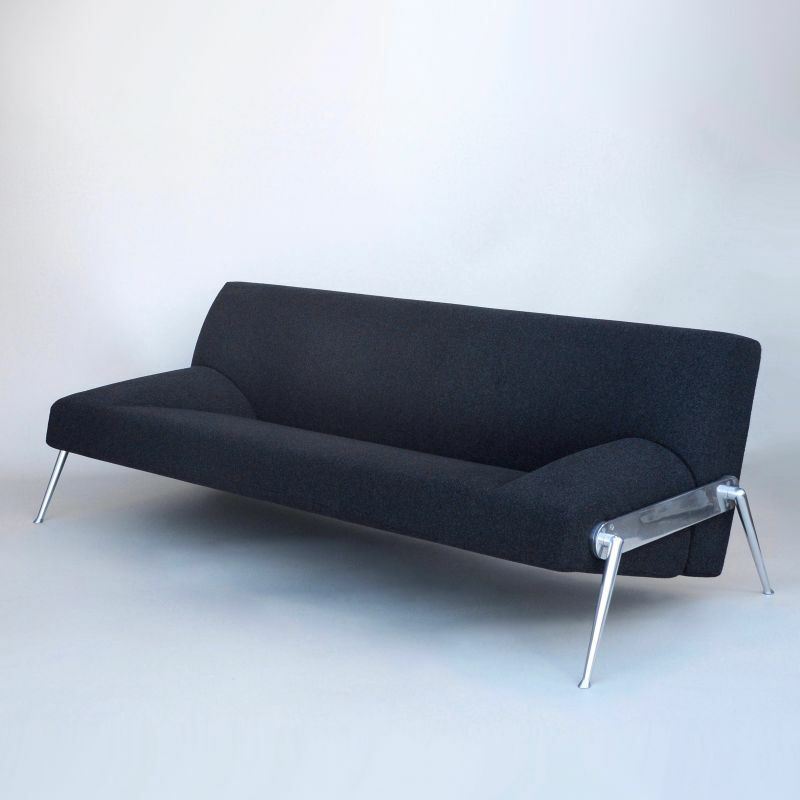 The sofa came from a house where the owners were fastidious about cleanliness and order. 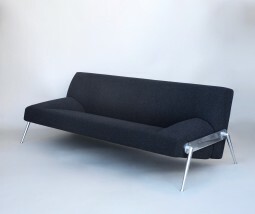 They bought it in Switzerland 30 years ago, and it looks as if it’s hardly been sat on, it’s immaculate. The measurements are 214 cm wide, 87 cm deep and 66 cm high. The height to the seat is 38 cm.